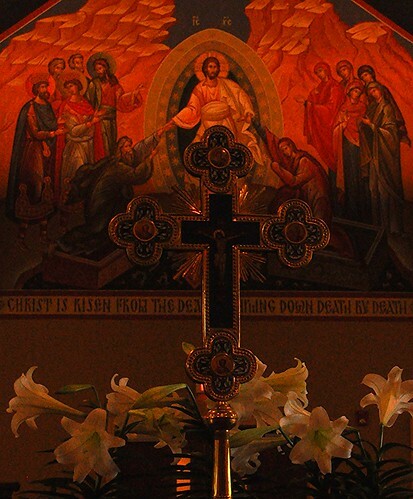 May the blessings of the Risen Christ be with you this Pascha. 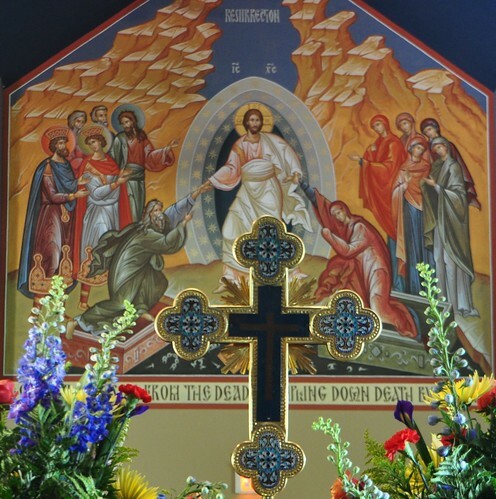 “The true message of Easter is most eloquently expressed in the icon of the Descent of Christ into Hell, or Sheol, the abode of the departed. In Western traditions, the Resurrection of our Lord is depicted as a victorious rising from the tomb. 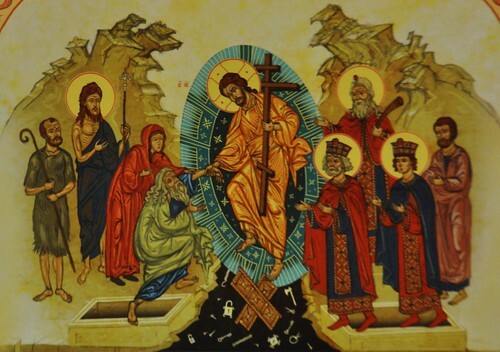 In Orthodoxy, the Resurrection is proclaimed by the image of the glorified Christ descending into the abyss. ‘In the tomb with the body, in hell with the soul as God….’ Without surrendering His divine nature, the eternal Son of God assumes all the conditions of human existence. In an act of total self-abnegation, in perfect obedience to the will of the Father, He accepts the ‘kenotic’, or self-emptying, movement that leads from the Virgin’s womb to the humiliating agony of the Cross. Christ is risen!!! Hristos a înviat!!! Христос Воскресе!! !